Hangouts could be the new way to conference call. 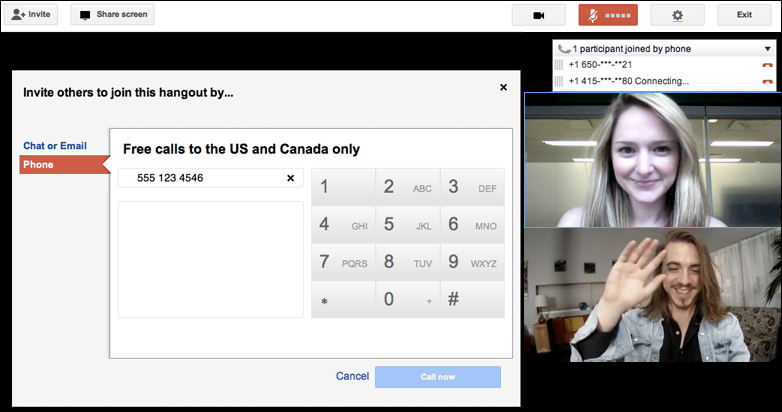 Google employee Jarkko Oikarinen has just announced that free voice calls to people in the US and Canada can now be made from within Hangouts with extras. This means people no longer have to be by a computer, or even have a Google account to join a G+ video chat. You just call them up and their voice can be heard by anyone in the Hangout, and they can listen in on the session. This could be great way to onboard people into Google+’s most innovative feature, and also fill up Hangouts that can be a bit sparse due to the social network’s low current user count. To activate the feature, simply start a Hangout, click the Invite button at the top, select “Phone”, and enter a phone number. If the recipient picks up, they’ll be instantly connected. The free offer is supposed to last through 2012. 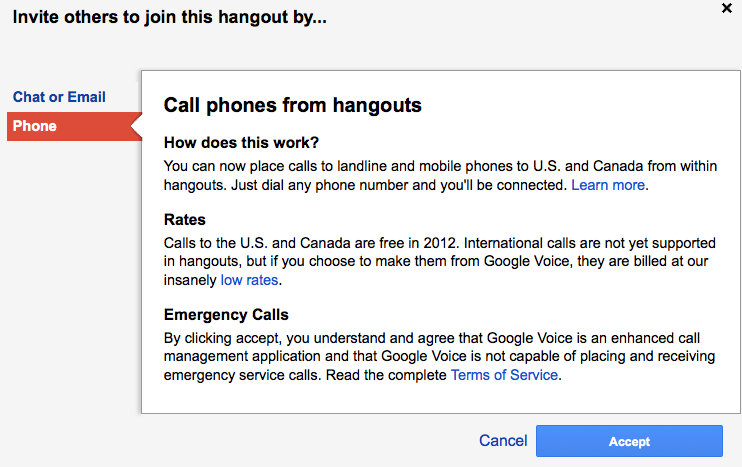 There’s no support for international calling, but Google recommends you use Google Voice for that. In addition to looping people on their phones into an existing group video chat, the feature can be used to make quick free 1-on-1 calls without having to set up a Google Voice account. In this way, Hangouts could more directly challenge Skype. Oikarninen, the original creator of Internet Relay Chat, says the feature is “Helpful for party lines and conference calls alike.” It could be an easy way make group decisions, hold a meeting, or just play around. Once people are in Hangouts, they’re a ton of fun, but getting them there has been the biggest problem for Google+ so far. By making them accessible to anyone with a phone, Google+ can get people hooked with they’re mobile so that they hopefully start their own Hangouts from the web in the future.